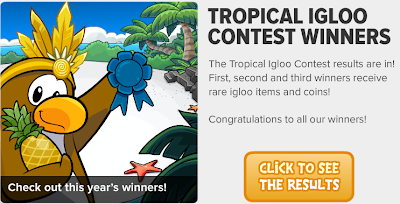 Club Penguin Cheats by Mimo777 Club Penguin Cheats by Mimo777: Club Penguin Times #358 is Here! 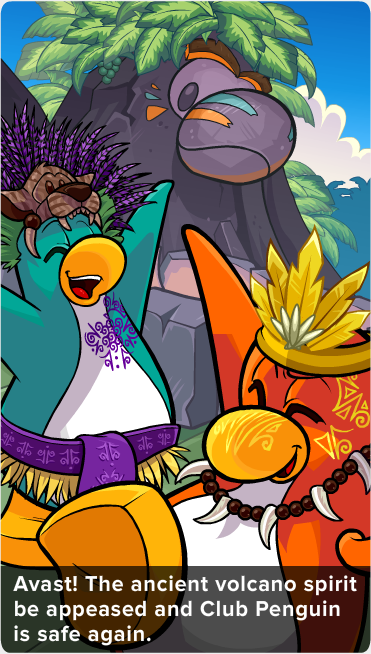 Club Penguin Times #358 is here! Waddle on over to the Coffee Shop to play the new game! It's pretty smooth! The curse be broken! Big big Kuhuna's big big belly be full! 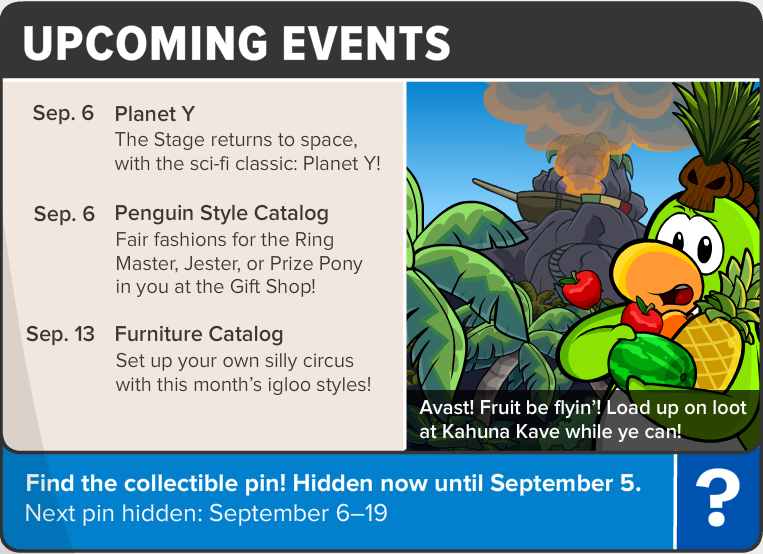 PLANET Y next week! Yay! RH answers your questions! Check them out! 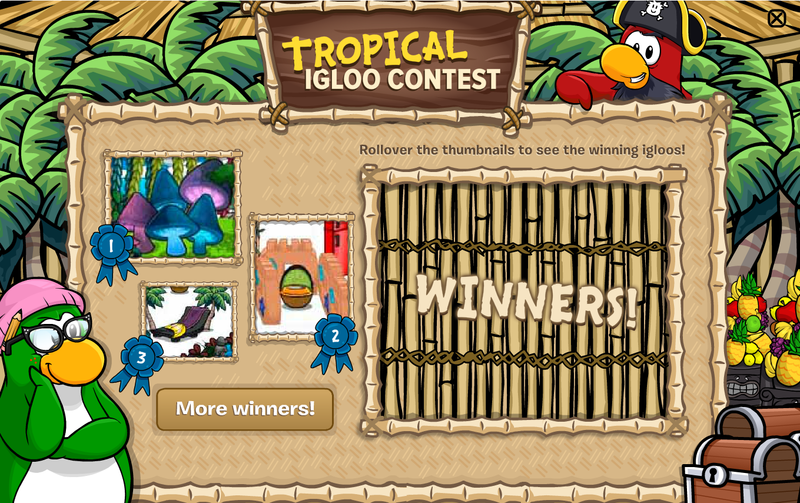 No secrets this time but the igloo contest winners! Click to see results! 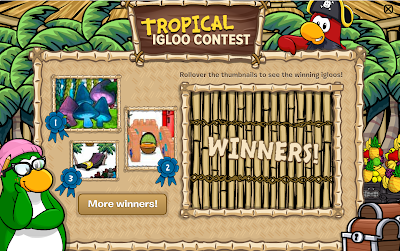 The winners have pretty cool iggys! And be sure you check out the "More winners!" who knows you might be on there! 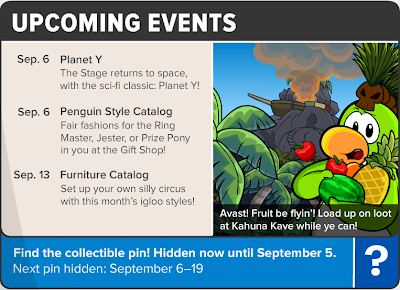 Anyone else excited for Planet Y!? Isn't "planet Y" copyright infringement? Kirk:Yay Enterprise!full Warp for Planet Y.
P L A N et Y. J'aime P.Y. hoora! oui! I havent checked Club Penguin. Your Picture isnt loading on my computer. I bet you $1000 (cross finger) I have not won but anyway congrats to the winnders! 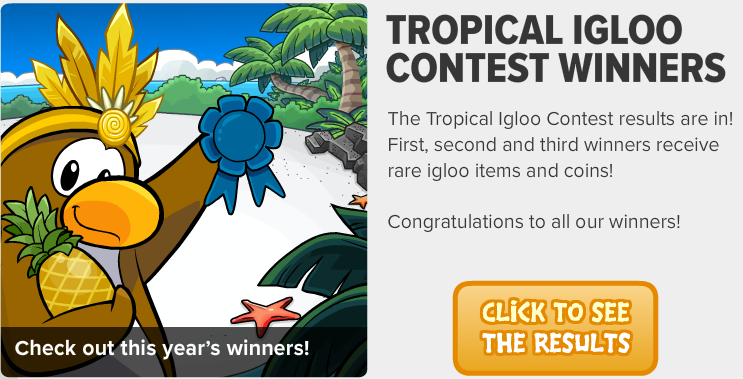 I AM A RUNNER UP! My contest entry was a Mayan temple growing up out of the jungle. 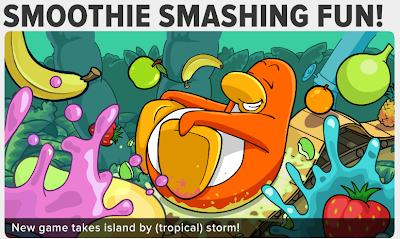 Probably didn't win because there was no fruit in it. I was sure my undecorated igloo look was revolutional guess i'll have to add furniture next time. by the way Yay! for Planet Y!